The kitchen is often a hub for family activity, especially during the holidays. From the time spent prepping and, depending on your kitchen setup, eating meals, to making holiday goodies, we spend a substantial amount of time in our kitchens this time of year. Adding smarts to your appliances can help cut down on the time you spend cooking, ensure everything is cooked to perfection and even keep in touch with your family. If you're ready to turn your kitchen into a smart kitchen, these are our favorite kitchen upgrades. The heart of your kitchen is the refrigerator, with the entire family visiting it regularly to grab food and drinks. 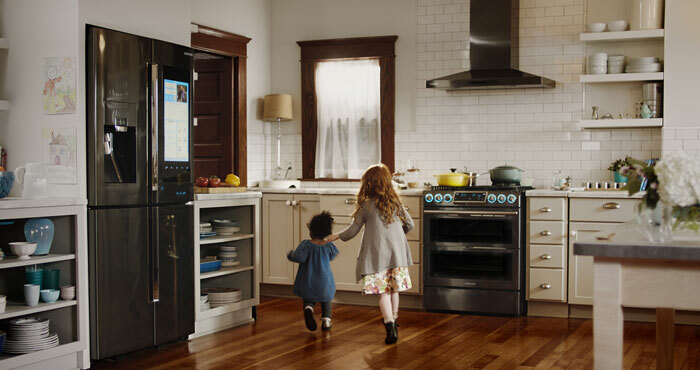 Samsung's Family Hub refrigerators make use of the appliance's central location to keep your family in touch with a large display that shows calendars, photos and notes. It's a lot like having a paper calendar stuck to the fridge, except you can update it and check it from anywhere using your smartphone. Cameras built into the fridge let you check what you have on hand from anywhere, too — like when you're at the grocery store and wondering if there's any milk left. You can also create shopping lists and set food expiration notifications, so you always know what you need. These smart shopping features mean you'll never return from the store to find you forgot one crucial item — you'll just be able to check your fridge from your smartphone and know. Entertainment features make an appearance, too. 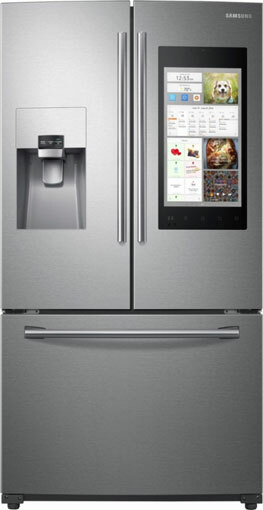 This fridge can stream music and video, letting you watch cooking demonstrations on YouTube while you're making dinner or just entertain the kids while you work. 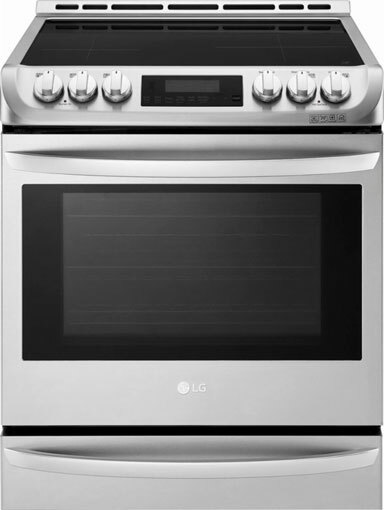 This LG smart stove features ThinQ, which lets you monitor your oven from your smartphone. You can check temperatures, timers and even start pre-heating the oven before you get home. You can also use ThinQ with Amazon Alexa and Google Assistant, letting you handle cooking — or at least some of it — hands-free. But beyond the smart features, this is just an excellent oven. The inductive range heats up quickly and provides precise, even temperatures — as well as keeping the rest of the cooktop cooler. The convection oven includes a fan for even heating, which means perfect cookies no matter where they're placed on the pan. And, finally, EasyClean cuts down on cleaning time, with a simple, three-step oven cleaning process that just takes minutes. Though you may think a microwave is just a microwave, this model from Panasonic has some high-tech features that will come in handy in the kitchen. 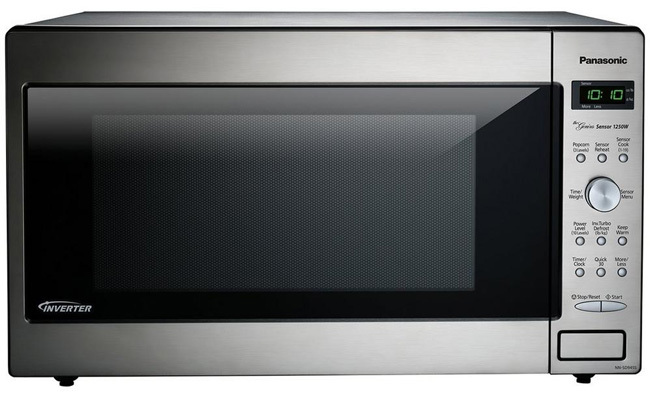 This microwave features a large 2.2 cubic foot capacity and 1200 watts of power, meaning it can do plenty of heavy lifting in the kitchen, but its standout feature is inverter technology. An inverter allows the microwave to provide precise heating, so it can cook food more evenly and (at low power) be used to keep dinner warm until mealtime. It's a feature few microwaves have, and it makes your microwave much more versatile. If you have an older microwave, it's well worth upgrading to a new inverter model. This sleek-looking GE dishwasher has controls hidden on the top of the door, leaving only a smooth stainless steel surface — or other finish of your choice — interrupting your kitchen cabinets. 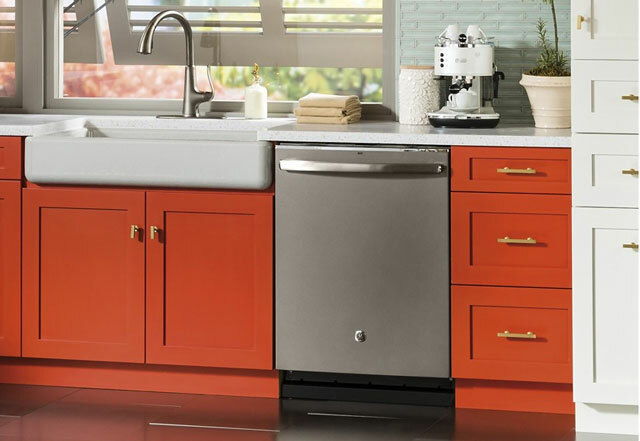 Beyond its good looks, this dishwasher has some great features to help keep your dishes sparkling. Our favorite feature, however, is the bottle jets which are designed specifically to clean water bottles. The four jets in the upper rack will spray water into water bottles to give them a thorough clean — and if you're drinking out of a water bottle, keeping it clean is crucial. Also handy are the dishwasher's wash zones, which allow you to run a half load (just filling the upper or lower rack) without wasting water. There's also the Piranha hard food disposer — essentially a garbage disposal for your dishwasher — that breaks up any large pieces of food to keep it from clogging the wash arms or drain. The racks are also easily adjustable to fit any dishes, with a top rack that can move two inches up or down as well as the standard fold-down tines to easily hold different dishes. And, with quiet 46-dBA operation, you'll be able to easily carry on conversation while the dishwasher is running. 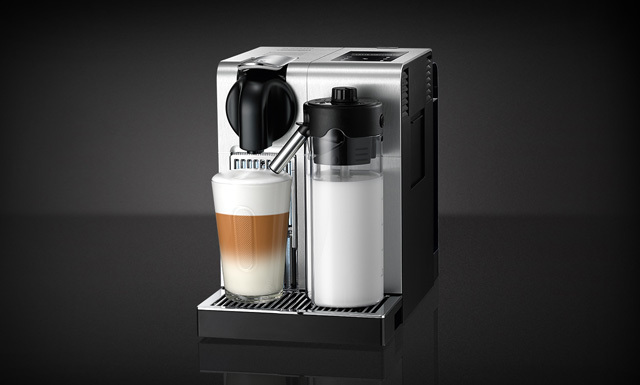 You can skip the morning Starbucks run with De'Longhi's Lattissima Pro, which can make espressos, cappuccinos and lattes with no need for a barista. All you have to do to make the perfect cup is fill the water (and, for some drinks, milk) tank, insert a Nespresso coffee pod and press a button. To make more than simple espresso and coffee, the Latissima can also froth milk for perfect lattes and cappuccinos — and just like with straight espresso, all it takes is a button press to make your drink. Each coffee pod is pre-ground and perfectly portioned for the best cuppa, and the hermetically sealed pods ensure freshness. It makes specialized espresso drinks as simple making as a pot of black coffee. The Lattissima Pro is on the pricey side at $418. If that’s a bit too much for your budget, the Touch ($380) and Plus ($299) models cost a little less, but smaller tanks mean you'll have to fill them with water and milk more frequently. Still, all will be just fine for brewing a cup or two to kick-start your morning. The humble toaster oven is about more than just making toast: it's the jack-of-all-trades of your kitchen. A good toaster oven can serve in place of your microwave or even your full-sized oven, doing everything from making toast to baking cookies. 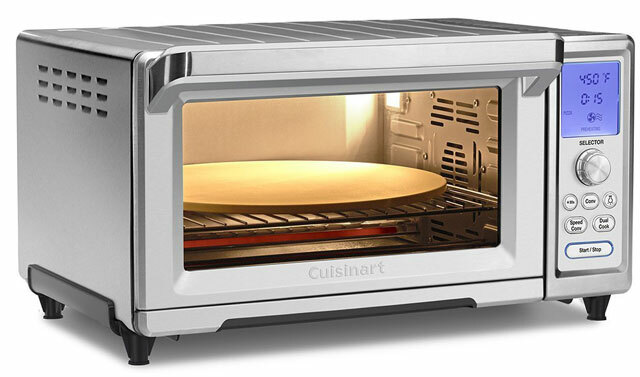 Our favorite in this category is the latest version last year's top toaster oven: the Cuisinart Chef's Convection Toaster Oven. It's large enough to toast six slices of bread at once and has the heating power to perfectly roast a 3-pound chicken. That makes it an ideal cooking companion in small spaces where you don't have room for a full-sized oven — or a good addition to full-sized kitchens to handle cooking tasks that don't require heating up your whole oven. With convection cooking, the Chef's Convection Toaster Oven heats food quickly and evenly for great meals (sometimes better than our full-sized, non-convection oven could achieve). If you don't think you need a toaster oven, this one may prove you wrong. Sure, a toaster oven is versatile, but the Instant Pot is the ultimate kitchen multitasker. This programmable gadget can act as a pressure cooker, a slow cooker or a rice cooker, and it can sauté, steam and warm food. It can even cook eggs and bake cakes! That means Instant Pot can replace an entire mountain of appliances stashed under your kitchen counters. The Instant Pot comes pre-loaded with cooking programs that let even the most novice chef cook meals with the press of a button. And if there isn't a program, you can tell the Instant Pot what you want it to do, letting it know exactly when and how to cook your dish. A microprocessor constantly monitors time, temperature and pressure, keeping an eye on your food so you don't have to. The end result? Better meals with a lot less effort. 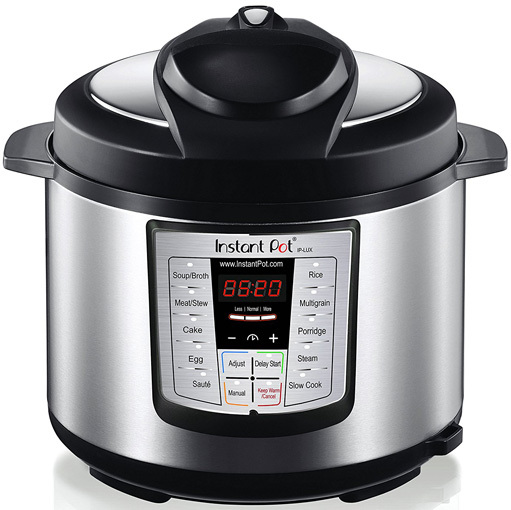 While this 6-quart model will be perfect for most, the smaller 3-quart Instant Pot ($60) will fit even the tiniest kitchen and the larger 8-quart Instant Pot ($110) is ideal for large families. Fresh bread is delicious any time of day but making it can be a time-consuming headache. 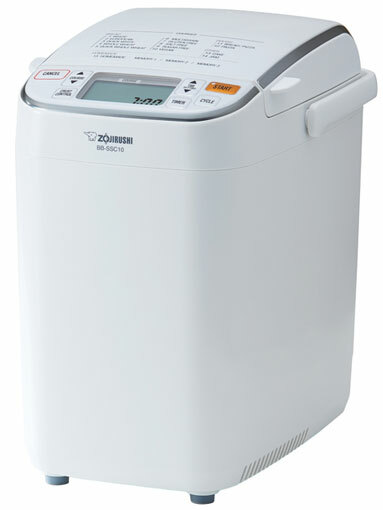 But you don't have to live next door to a bakery to have access to homemade bread whenever you want it: all you need is your own kitchen breadmaking machine, and our favorite is the Zojirushi Bakery Maestro. Like many of the kitchen gadgets on this list, the Zojirushi is easy to use, so there’s no need for a culinary degree to get great results. All you have to do is dump in the ingredients — it comes with a recipe book to get you started — and select what type of bread you want to make from 15 pre-programmed options. The Zojirushi handles it from there, knowing exactly how long the bread needs to be kneaded, how long it takes to rise, and how long (and how hot) it has to bake. It can even make pizza dough and pasta if you feel like branching out. The only downside is that the loaves it makes are relatively small: just one pound. That may sound like a lot of bread, but it's about half the size of a standard grocery store sandwich loaf. Still, this drawback only means you'll be baking more bread, leaving you with the freshest possible loaf for every meal. Updated on 10/27/2017 with correct model and pricing for LG range. Hello Elizabeth, you have added an awesome list of home appliances, thanks for sharing. These products are also available on HomeYantra World’s first intelligent platform for home appliances.